Throughout childhood the world around us is populated by all kinds of wonder – there’s magic in the humdrum of everyday, snow can be the cause of hysterical joy and celebration, we live in a state of constant discovery and awe. Dreams, and constant reaching for the fantastical in and beyond what we can see, dictate our thoughts as much as reality. Our minds are at their most active and imaginative. The biggest worry, and greatest fear, a child can have, apart from vile creatures and evil monsters, is imagining a world without wonder – what is there left to life with all the mythical, the enchanted and the fantastical drained out? What will become of us when our dreams fade and die? 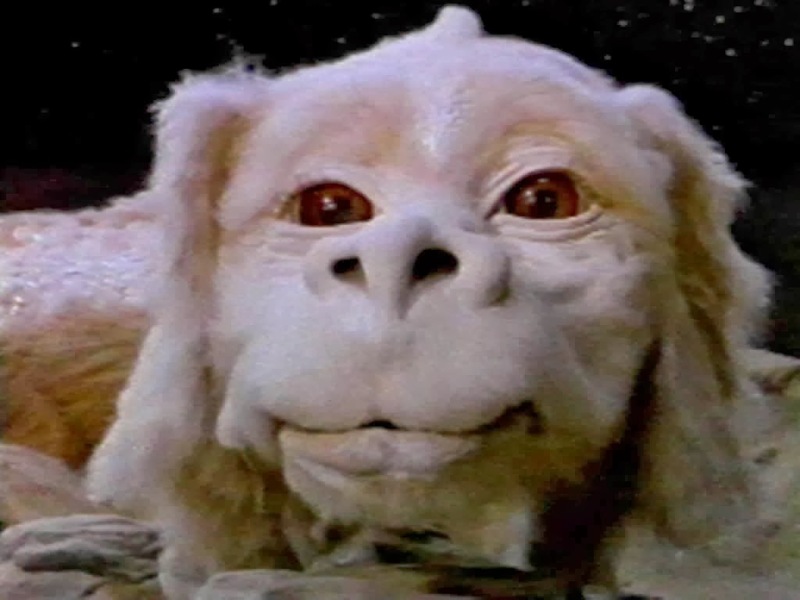 This is the set-up to the remarkable film The NeverEnding Story – a movie which realises that far more terrifying than clawed beasts, heavy breathing spacemen in dark helmets or evil wizards, is pure nothingness. Fantasia, a land made up of all the creations summoned from human imagination, is at risk when an expanding, engulfing nothingness threatens to envelope everything in it’s path; left behind will be an infinite void where once magic and wonder lived and prospered. Without our imaginations, the source of escapism, of hope and our dreams of a better tomorrow, what solace do human beings have in our morose existences? For a film fondly, and nostalgically, remembered solely as a children’s adventure, The NeverEnding Story is unrelentingly nihilistic, brimming full of emotional and philosophical depth, when viewed through adult eyes. We enter the world of Fantasia through the eyes of a child looking for escape from a world which, in it's everyday banality and cruelty, is too harsh to bear - as Bastian hides from bullies who taunt him, the words on the page of a book he is reading come-to-life (at least in his, and our, minds). We meet Artax, a horse who becomes so disillusioned and depressed that he perishes before our eyes, and a rock monster who battles with guilt so profound he's not sure whether to avoid being swallowed up by emptiness anymore. It's peculiar to see such incredible sorrow represented onscreen. Perhaps the saddest, most bittersweet, moment of all, however, is the triumphant conclusion of the film - as Bastian seeks (whimsical) revenge on his real life tormentors in a somewhat spectacular fashion, it has to be considered that this too is just a flight of fancy in the mind of a sad young boy's life. Yet, whilst his victory may indeed be made up, it provides solace and, in doing so, gives further evidence to the importance of the imagination and how we need it to survive - after all, without it there'd be nothing.